American blues singer most widely remembered for her 1952 hit "Hound Dog," which became a huge hit for Elvis Presley three years later. 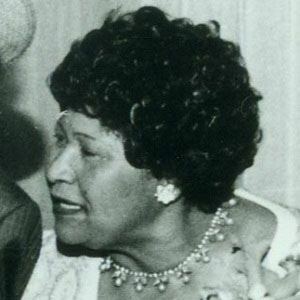 She was nominated for six Blues Music Awards during her career and was inducted into both the Blues Hall of Fame and Rock and Roll Hall of Fame. She quit school following the death of her mother and began working at a local tavern. She left home in 1940 and joined the Sammy Greens Hot Harlem Revue. She became known for the subverting many of the gender expectations of her time, often donning clothes traditionally worn by men during her live performances. Her birth name was Willie Mae Thornton. She was one of seven children born to a minister and a church singer. Like "Hound Dog," her song "Ball 'N' Chain" was later made more famous by another singer, Janis Joplin.